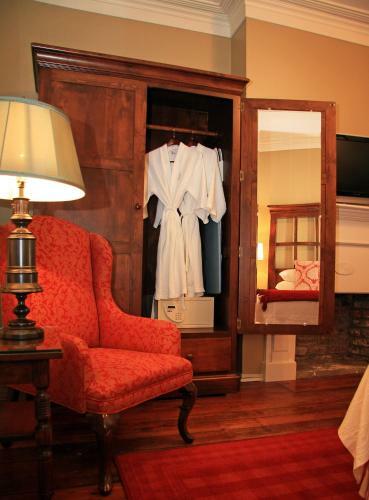 Individually-decorated rooms with fireplaces flat screen TVs and free Wi-Fi earn top ratings from our guests for Savannah's non-smoking Marshall House Hotel. 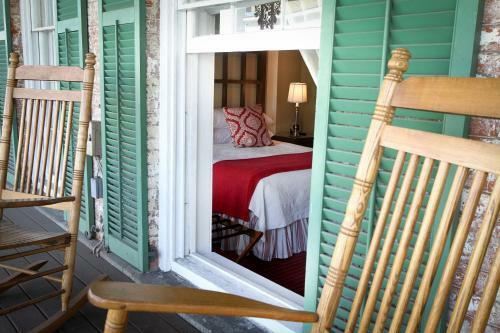 Decorative fireplaces and privates baths are featured in each of the three-story Marshall House's 68 distinctively-different rooms and suites. 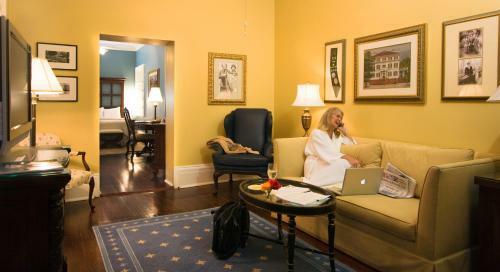 All accommodations include flat-panel cable TVs free Wi-Fi and mini-fridges. Grab a cocktail in the lounge before dinner in the hotel's popular 45 Bistro Restaurant. If you've got work on your agenda feel free to take advantage of the business center complete with fax and copy services. 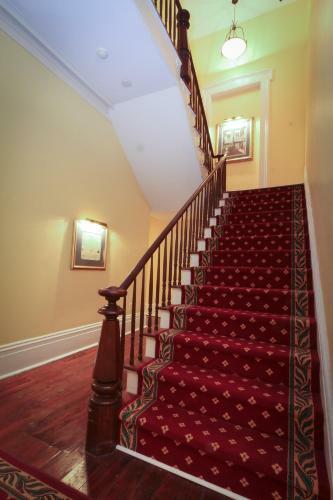 Private and valet parking are available. The entire property is non-smoking. 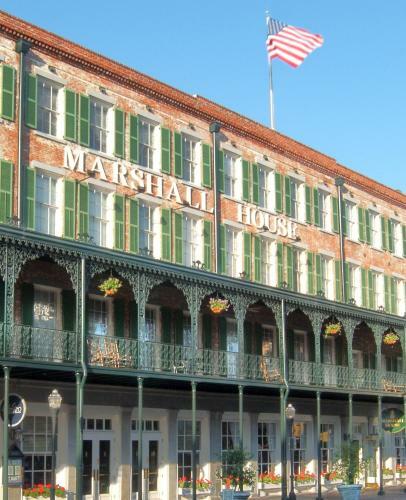 The Marshall House is blocks from River Street within walking distance of most of Savannah's historic sites. Forsyth Park is less than a mile from the hotel. Savannah/Hilton Head International Airport is 10 miles away. 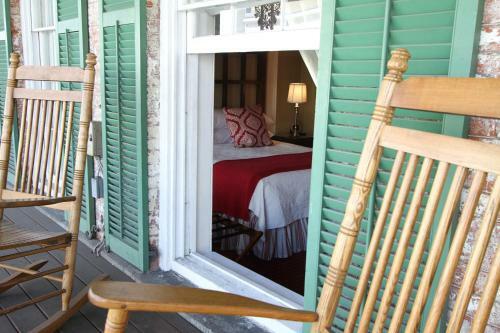 Add The Marshall House to your free online travel itinerary.